Plastic & paper grocery bags (for bagging food). Hotel/motel soaps and shampoos (for hygiene kits). Toothbrushes and razors (cheap at the 99 cent store!). White tube socks (medium & large). Clothing: jackets, sweatshirts, t-shirts (medium & large), used jeans & pants in sizes 26″-32″ waist. Canned goods, especially stew, canned beef, canned fruit, mac ‘n cheese. Pop-top fruit cups, vienna sausage, granola bars (for the homeless). Bottled water, Capri sun fruit drinks. Cereal or oatmeal in family sized boxes. Sunscreen, anti-fungal cream, antibiotic ointment, chap-stick and vitamins (for the nurses’ clinic). The mission of the Community Christian Service Agency, an ecumenical Christian agency, is to provide emergency services to individuals and families in need in San Diego County, including food, clothing, and referrals, and where practical, counseling to assist in their transition to self-reliance. Donate To Our Annual Appeal with PayPal! CCSA's Annual Appeal is Underway! Donate now by dropping off or sending in your donation to our Clairemont office, or donate through PayPal by clicking below. Thank you for your support! SOCK DRIVE! THANK YOU TO THE INTERNAL OPERATIONS BRANCH FOR THE CITY OF SAN DIEGO AND ITS 500 EMPLOYEES FOR THEIR SOCK DONATION! 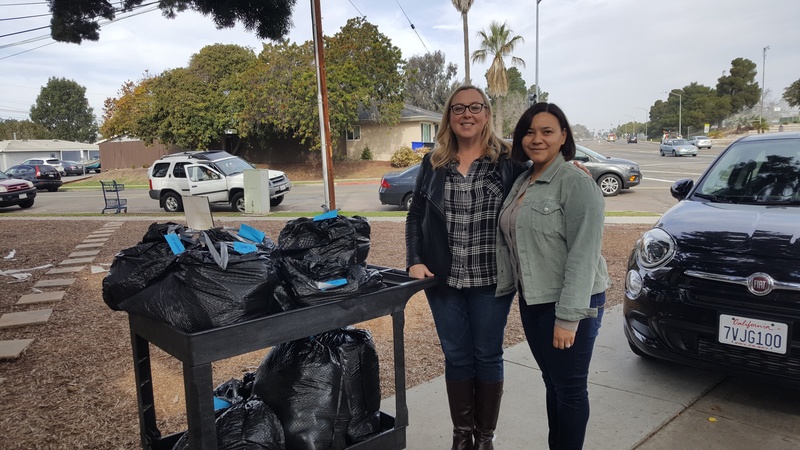 The Internal Operations Branch for the City of San Diego -- which oversees the five departments of Purchasing and Contracting, Real Estate Assets, Information Technology, Fleet Operations and Human Resources, and represents over 500 City employees -- has generously donated 750 pairs of socks for men, woman and children in need from their "Sock Drive" to CCSA! This "Sock Drive” was a voluntary effort established and organized by the Branch's own employees to give back to our communities during the holiday season. The generous efforts of these employees generated over 2,000 pairs of socks that they shared with three different organizations including CCSA. CCSA thanks you all for your generous spirit from the top of our heads to the tips of our clients' warm toes! THANK YOU! THANK YOU TO SPROUTS AND ITS SHOPPERS! THANK YOU to Sprouts on Clairemont Drive, Genesee Avenue, and Rosecrans Street, and their shoppers who purchased filled "brown bags" of groceries, for their donation to CCSA! 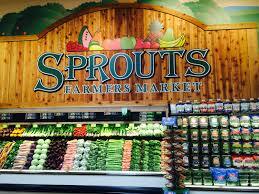 Sprouts and their shoppers are consistent supporters of CCSA and we apprecriate them! THANK YOU TO OUR AMAZON SMILE SUPPORTERS! CCSA RECEIVED $75.52 AS A RESULT OF YOUR PURCHASES FROM APRIL THROUGH JUNE! NOT SIGNED UP YET! CLICK THIS LINK! E-MAIL: For all matters concerning the agency, our general e-mail address is [email protected].